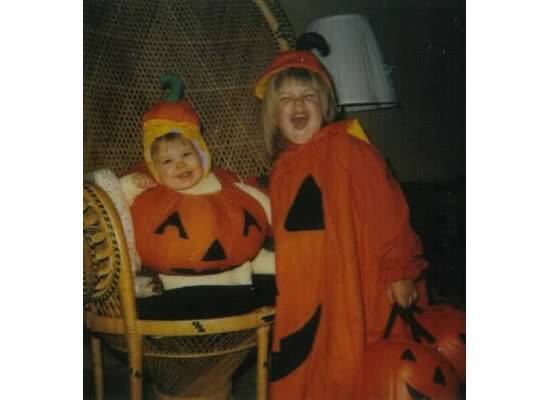 Halloween has been pretty good to me throughout my life. There isn't one I can recall as the worst in my head. I just remember freezing my behind off during every one. But the candy was worth it. Last year was our first as Mr. and Mrs. and I think we nailed it. Many thanks to my amazing husband who came up with this idea. He is a huge fan of the show and you should have seen just how excited this made him. I even had brown makeup smeared everywhere for dirt even if you can't see it in the pictures. Now, I'll give you a real Throwback to when I was younger and some of my best looks. 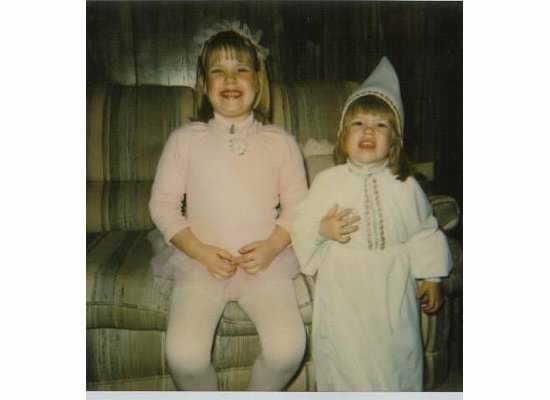 The best thing about my Halloween costumes was that they were always handmade. My mom was quite the lady. Much different than kids as Elsa or Spiderman. Cutest pumpkin there ever was. Another year I was a bag of jelly beans, a witch more times than I can count and some randoms thrown in there during my high school and college years. We have yet to decide on our costume for this year. This might be my worst Halloween as I can see into the future. I will be at work that Friday and Saturday night. Enjoy yourselves Halloween party people. 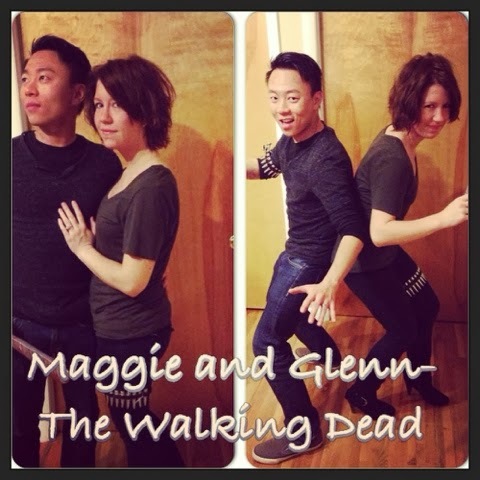 Maggie and Glenn! I love it! Happy TWD Sunday!!! And to you too! My husband has been counting down for months.